We've weathered a few October storms that have dumped over 8+ inches of rainfall in the Portland metro area. Webbed feet is an asset these days. November, however, begins with sunshine and I took advantage of the pretty weather to take some pictures to showcase the gardens as they transistion deeper into autumn. 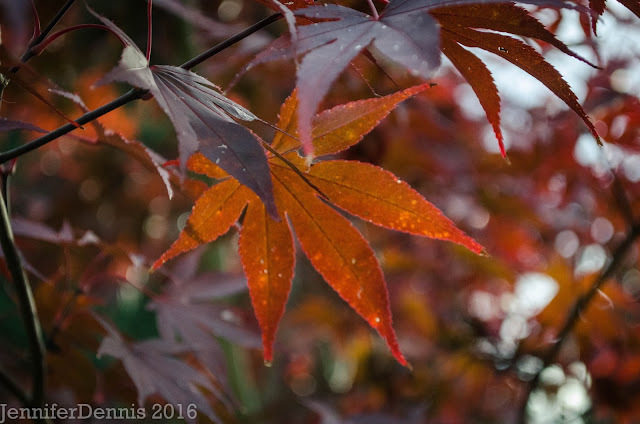 The warm hues from my Japanese maples are welcome. I look forward to the leaves changing every year. It's really a breath taking sight. 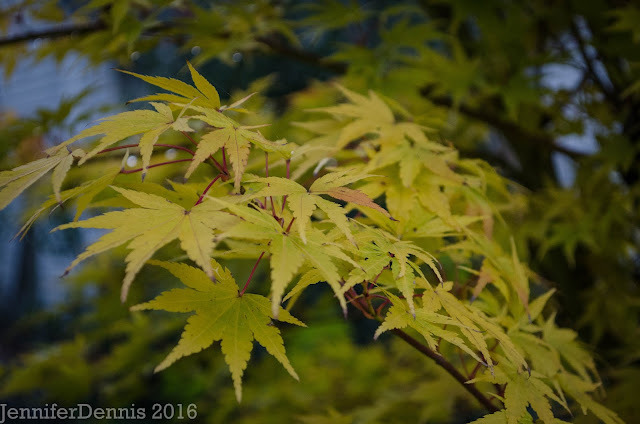 Acer Palmatum 'Fireglow' is my favorite. In the summer, I love to sit under it and gaze upwards. The leaves look like they are on fire as the sunlight bounces off. In the fall, the leaves turn a warm reddish hue. It is a standout piece in my garden. 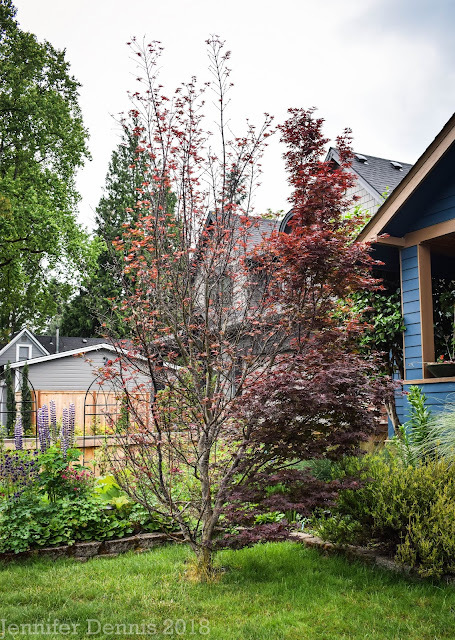 If you love fall color, I suggest adding blueberries to your landscape. The irridescent red hues are brillant. 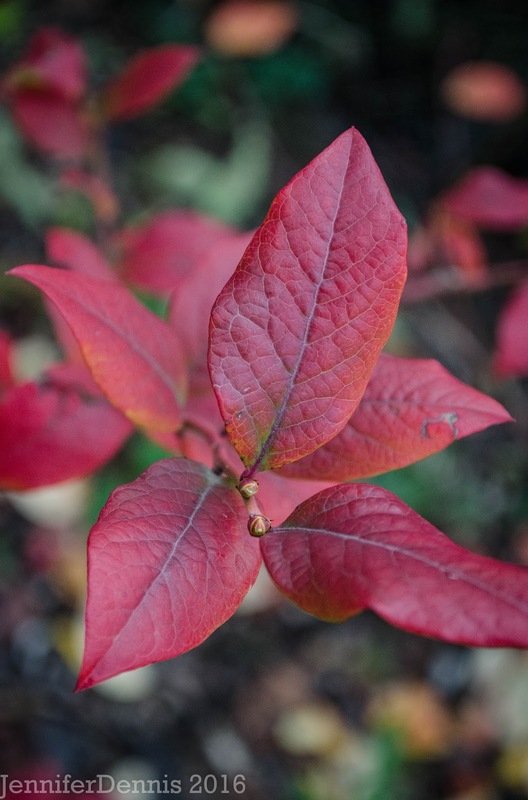 I have a little girl that loves to eat blueberries, so they are important to our edible garden, but the bonus of fab fall foliage can't be beat. Every year I think about moving my callicarpa to a more prominant location...and then I forget. I need to remember because it's a show stopper this time of year. I need to take some cuttings and make a few more starts to sprinkle around the garden in those hard 'dry shade' spots. This tall scrub is perfect. 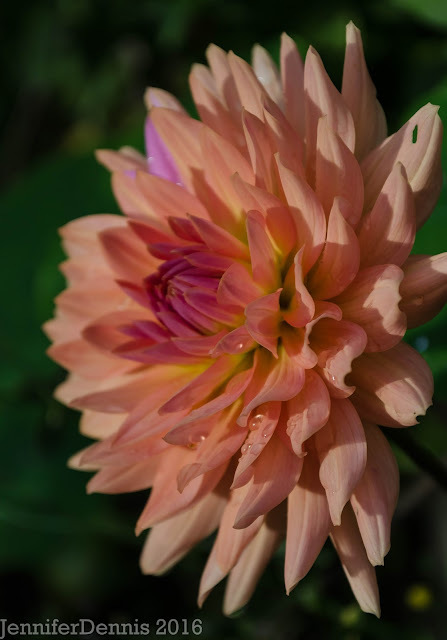 As we have not had a frost yet, the dahlia's continue to bloom. 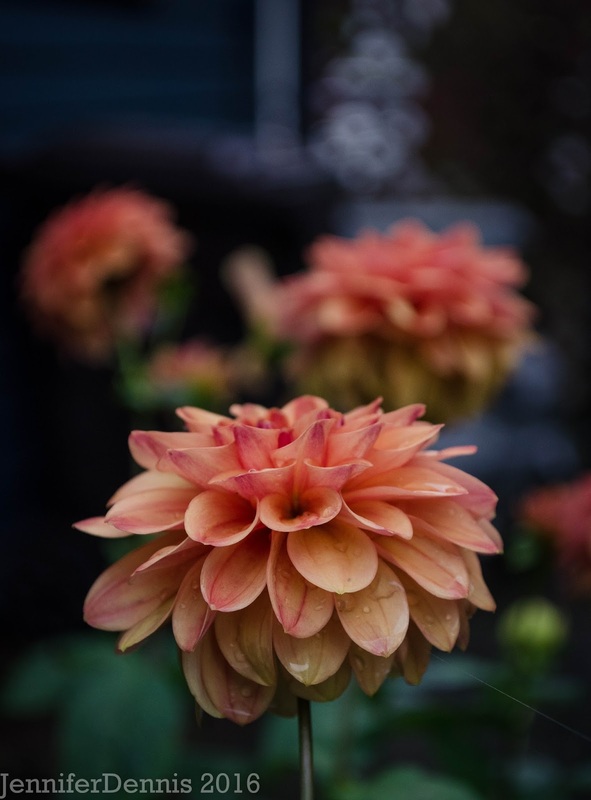 Dahlia's are an autumn favorite of mine. 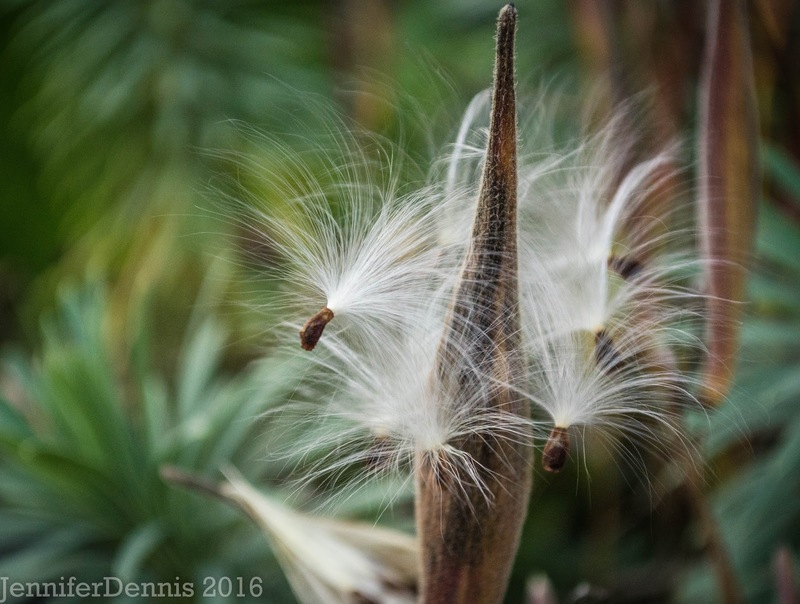 The seeds from the butterfly weed are popping from their pods. I love it when the pod first splits open and you see this amazing pattern of the seeds layed like falled dominos. The summer blooming heath produced white, needle shaped heads in autumn as well. 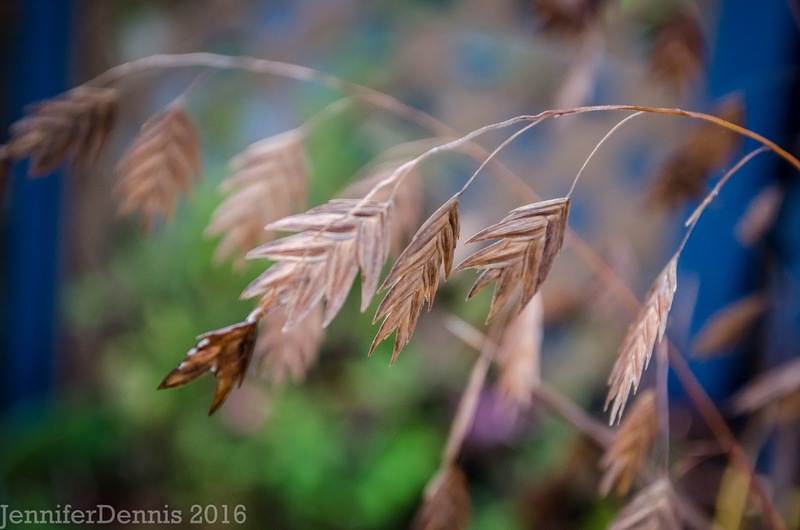 Northern oat grass turns a coppery color, but it's the dangling seeds that really delight me in autumn. Mt. 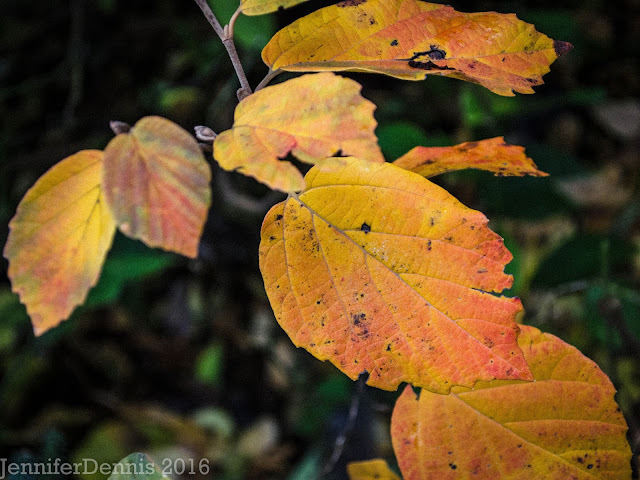 Airy Fothergilla is a shrub that I planted specifically for it's fall foliage. I like it's shape, it's slow growing nature and the bottlebrush spring blooms. But, what I really love are the gold and orange colored foliage in the fall. And what's this? 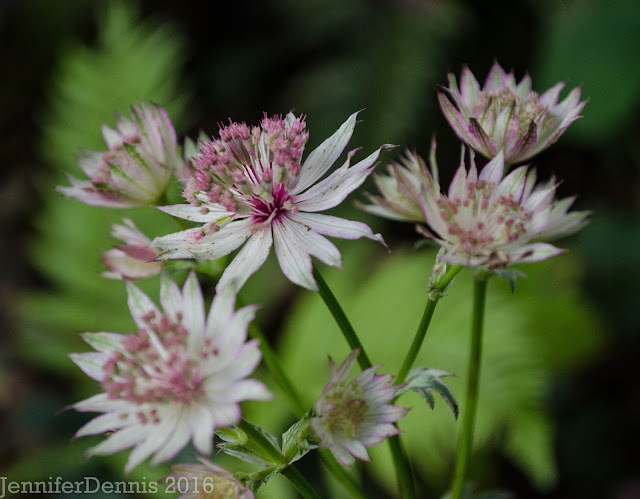 A second flush of astrantia 'roma'? Yes, I'll take that. The garden is simply stunning in fall. I am benefiting from some of the plant choices I made, specifically for fall foliage and blooms. 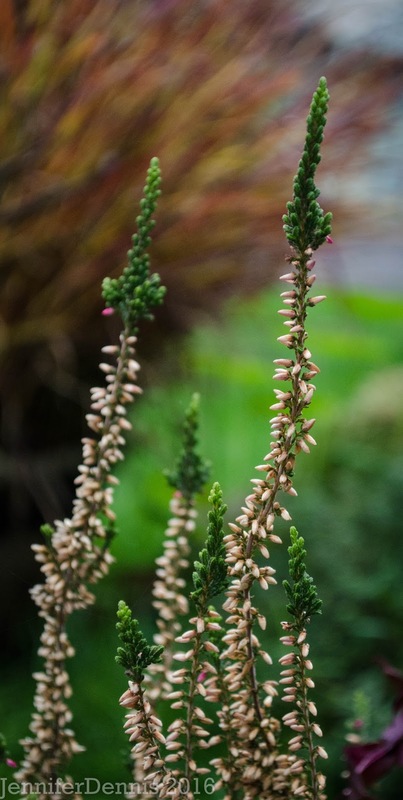 It's wonderful to have something to mavel at in the November garden. Ya, that was me outside for nearly 5 hours in the rain..coaching soccer. Ah November rain. 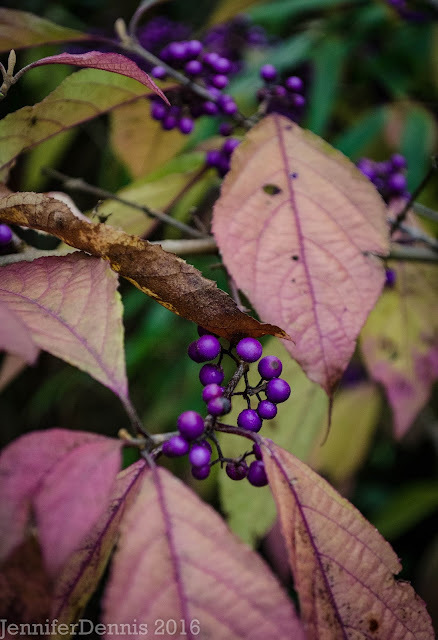 I'll be interested to see if you manage to get cuttings from Callicarpa to root. If you do, I may follow suit! Your garden is looking so much better than mine. Whatever isn't drenched and soggy is dry and brown and dead. 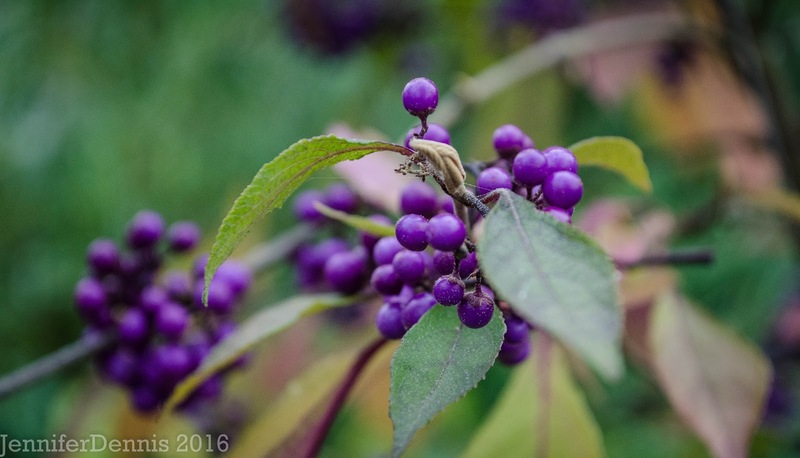 So your Callicarpa has been drought-tolerant? I might have to try it next year. Hi Alison, yes, my callicarpa is placed in dry shade. It gets a tiny bit of summer water. A neighbor down the street has theirs placed under a large fir tree, also very little water, but a lot of shade. Mine is small enough to transplant, so I'm thinking it's a February move. Beautiful. 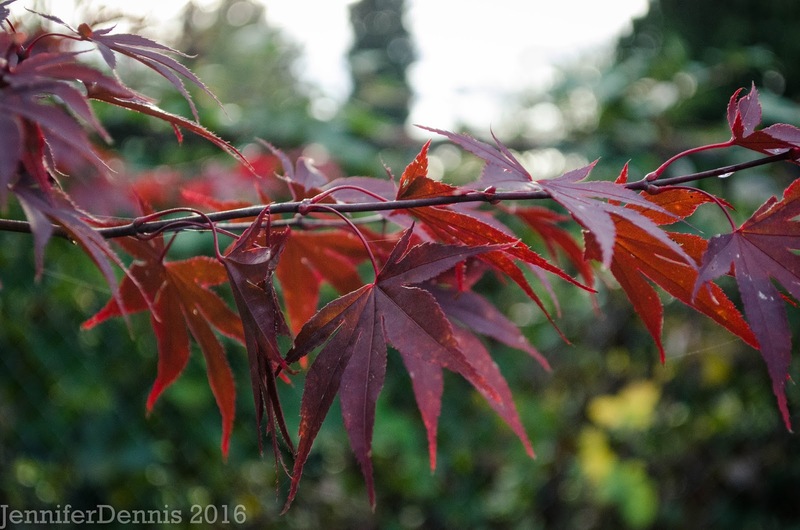 I'm still struggling to keep my Japanese maple alive. It lost its leaves and is in the garage, but we have yet to have a frost. Your colors are amazing. I, too, have been planting for the Autumn show. I could take a few tips from you.